This is a belated, personal tribute to Robin Grove who died on Christmas Day 2012. Robin had a long and distinguished career as an academic but was also an acclaimed writer about and reviewer of dance. Ballet and music had been part of his life from an early age and as a young man he took classes with Laurel Martyn’s Ballet Guild. 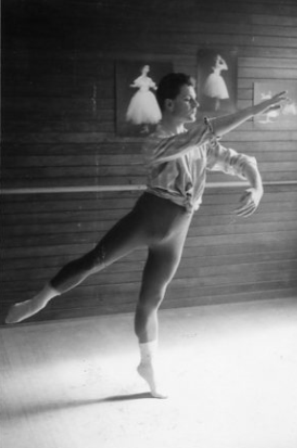 During the 1960s he choreographed several ballets for the Guild, whose company at that stage was named the Victorian Ballet Company (later Ballet Victoria). Perhaps the best known of Robin Grove’s works for the Guild was Apollon Musagète, to the score by Igor Stravinsky. A filmed (but silent) rehearsal of this work is in the collection of the National Film and Sound Archive, as I was thrilled to discover while working in the Archive in the late 1990s. 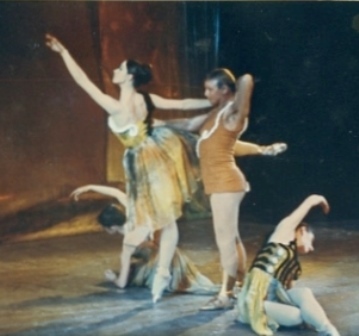 The current dance literature is a little confusing with regard to performance dates for Apollon Musagète but it appears that it was given its first company performance in a short season at the Palais Theatre, St Kilda, on 4–5 September 1964. It shared the program with Carnaval, Bottom’s Dream (Maxwell Collis), the pas de deux from Nutcracker and Once upon a Whim (Martyn). Its décor was by Warwick Hatton* and the program has the additional design credit line ‘after Lionel Feininger’. A note in the 1964 program states that the work was added to the company’s repertoire ‘after its successful reception in the programme Repertoire Nights held in the Victorian Ballet Guild’s studio theatre’, although I have not yet been able to establish the date of that earlier showing. The 1964 program records that Apollo was danced by Maxwell Collis, Calliope by Barbara Warren-Smith, Poly[hymnia] by Dianne Parrington, and Terpsichore by Jillian Luke. Other Muses were danced by Pamela Baker, Elaine Kemp, Margaret Crowder, Victoria Gibaljo, Mary Long and Denise Saunders. The work was reprised at least once at the Guild studio theatre by the Victorian Ballet Company in September 1967. It was part of a program of four ballets with the other three comprising The Little Mermaid (Rex Reid) The Comedians (Jack Manuel) and Dear Dorothy Dix (Michael Charnley). The program was reviewed in The Herald (Melbourne) on 1 September 1967 by H. A. Standish. I can’t remember when I first met Robin—it may have been at a Green Mill dance conference in Melbourne around 1992, but he worked with me to establish Brolga: an Australian journal about dance, which appeared for the first time in December 1994. I valued his support and his input as Brolga developed as an idea and then blossomed as an enterprise. He was a member of the advisory panel from that first issue onwards and later, when I went to work in New York in 2006, he became co-editor (with Alan Brissenden) until December 2008. 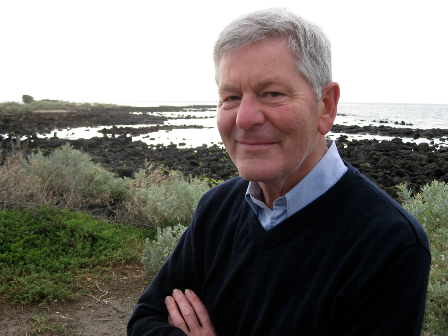 He contributed Silent Stories, a wonderful analysis of Laurel Martyn’s 1963 work Sylvia, to the first issue of Brolga, and he continued to contribute on a number of occasions after that. It was he who suggested that we devote an entire issue to the work of Laurel Martyn, and the issue—a kind of Festschrift—appeared in June 1996 in celebration of Martyn’s 80th birthday. 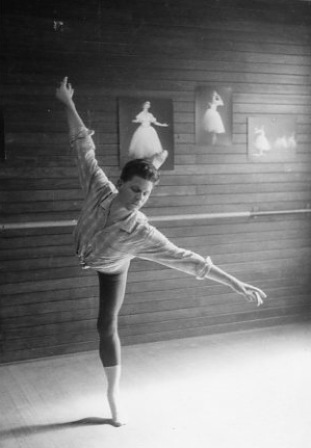 In addition to Robin’s article, The smile of Terpsichore: notes on Laurel Martyn as choreographer, that issue included articles by Janet Karin, Geoffrey Ingram, JoAnne Page and Joel Crotty. It also contained extracts from an oral history interview with Martyn and a list of her choreography from 1935 to 1991. In my opinion the Laurel Martyn issue remains one of the best we produced. Robin brought to Brolga an amazingly wide-ranging attitude to what we could publish in a dance journal. His background in music and literature was invaluable and I trusted his opinion unreservedly when he read articles that I thought needed a second opinion with regard to publication. Of his own articles, what I loved was the way he was able to place his material into a wide cultural context. But I guess what I loved most was that he believed that ballet was an art form worthy of consideration at the highest level. I regret that our lives did not cross after my return from New York. An obituary, published in The Age in April 2013, is at this link. * I have not been able to find information about Warwick Hatton’s design work and would be pleased to hear from readers who may know of his background. The costumes, as far as I can ascertain from the Stringer images, recall some features of the designs for David Lichine’s Protée, which was seen in Australia during the Ballets Russes tours and which was designed by Giorgio de Chirico. ** Of the two Stringer photos above the image on the left is from the collection of the National Library of Australia and is dated 1967. The dancers’ names on the Library’s catalogue record do not coincide with those on the 1964 program. The Stringer image on the right was kindly supplied by Elisabeth Grove.